OAKLAND, Calif. (KGO) -- There's no rest for Warriors MVP Stephen Curry after Friday's win over the Cleveland Cavaliers. 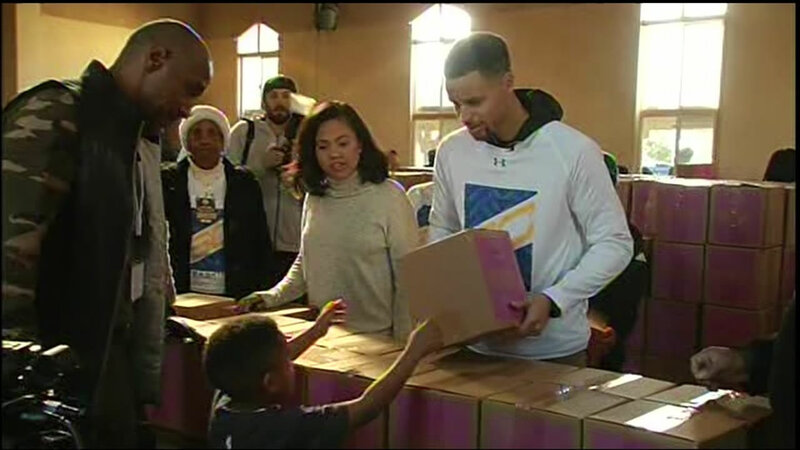 Curry, his wife Ayesha and their two daughters, Riley and Ryan, took part in Saturday's Feed the Children event, helping 400 Oakland families in need. This is the third year the Currys have participated in giving each family a 25-pound food box and 10-pound box of personal care items. This event is part of the Warriors' Season of Giving community outreach initiative funded by the Stephen Curry and Warriors Community Foundations.